A while ago I posted the awesome deal I got on my motorcycle jacket, and I just lucked out with an even better deal on one for my wife. It’s a First Gear mesh jacket for just $29! Limited sizes but an amazing deal compared to the $149 or so it sold for originally. MotorcycleGear (formerly New Enough) is great at finding these closeout opportunities. Shipping was a little steep at around $12 but still an awesome deal. When I decided to purchase a scooter I had already gotten rid of our second car and given my wife primary access to what was previously “my” car. 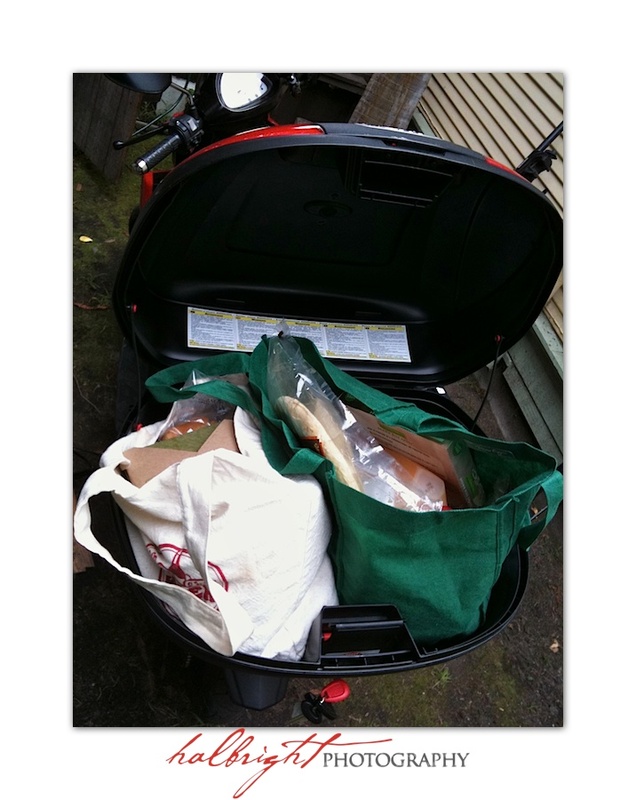 With that in mind, I needed to be able to use my scooter to do as much as possible of what I would have accomplished with a second car and that includes grocery runs to Trader Joe’s, Whole Foods, and anywhere else. 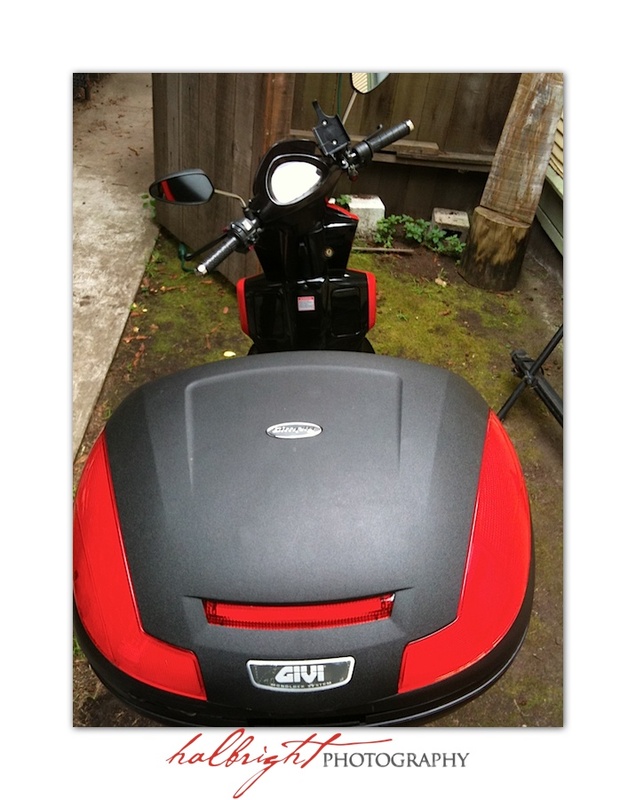 After doing some research online I decided on the Givi e470 case. Not only can it hold 47 liters worth of goods, but it also lockable and comes with a quick release mechanism that I could attach to my scooter’s rack. 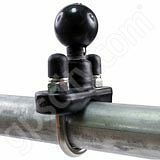 I purchased it online at Helmet Head for less than $200 with free shipping –a nice bonus on a largeitem. It was easy to install and works quite well. The only draw back is that when I load it too full, it can sometimes be tricky to open especially if something blocks the latching mechanism. I’ve found a trick that has worked in every situation, remove the case from the rack with the quick release and invert it. Then gravity does the work and it opens easily. I can hold two large bags of groceries in the case and a third can be hung from the hook in the front of the scooter. The case is even tall enough to fit a bottle of wine standing up straight and/or several six packs of beer! It easily fits my XL Nolan N102 helmet and a smaller helmet at the same time. All in all, its been a great asset and has made the scooter quite practical. Last week I decided to look again for a TourMaster Jett Series II Jacket, a very comfortable, good looking jacket with some great safety/visibility features. I almost purchased this jacket months ago but after a brief travel wearing, found that it was way too hot for me on a warm sunny day. it was a shame as it was the most comfortable jacket I had tried. Leave it to NewEnough the discount shopping store to offer me a deal I couldn’t refuse. They made the same Tourmaster Jett available in last years model (the one I preferred) at half price! Only $65 for an awesome jacket with a zip in lining that makes it warm enough for the coldest Northern CA and is water resistant to boot. It was my first time using NewEnough so I did some research and everything seemed good. It arrived quickly and the price speaks for itself! It’s too bad I don’t get paid to say any of these as I wouldn’t mind the extra cash — but definitely wanted you all to benefit from this great find.